Lately, I love wearing my hair down again. basically, because I got the chance to discover a new flat iron that I think is by far thé best flat iron I have ever used! I mean seriously the best. 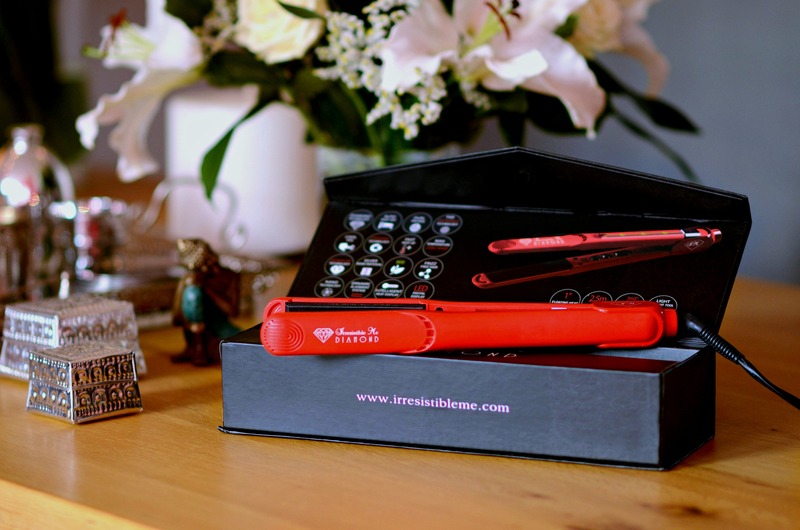 I am really excited about this product because for the first time in years I am not dreading straightening my hair in the morning, and I can get professional salon results minus the damage right at home! Curious? Keep on reading. 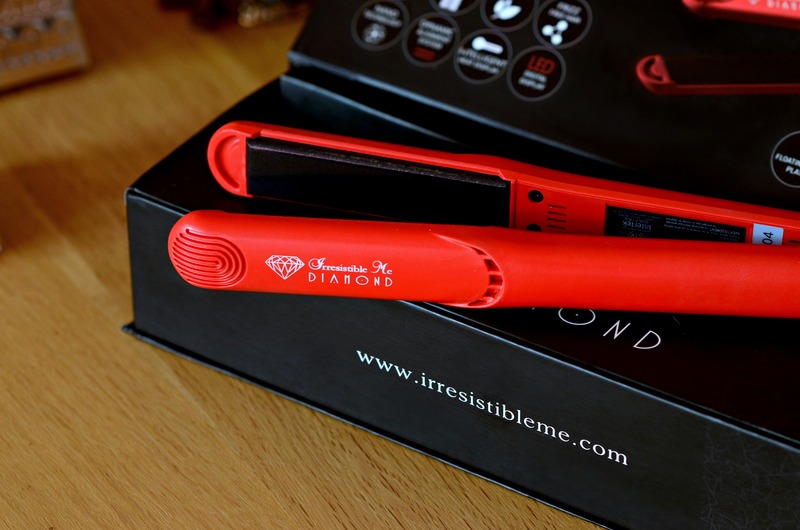 When I was approached by Irresistible Me to test their Diamond Profesional Flat Iron, I was a little hesitant. I only want to review really good products for you guys. Products that are nothing but amazing will only be featured on this blog. After watching a couple of reviews on YouTube, I got curious. 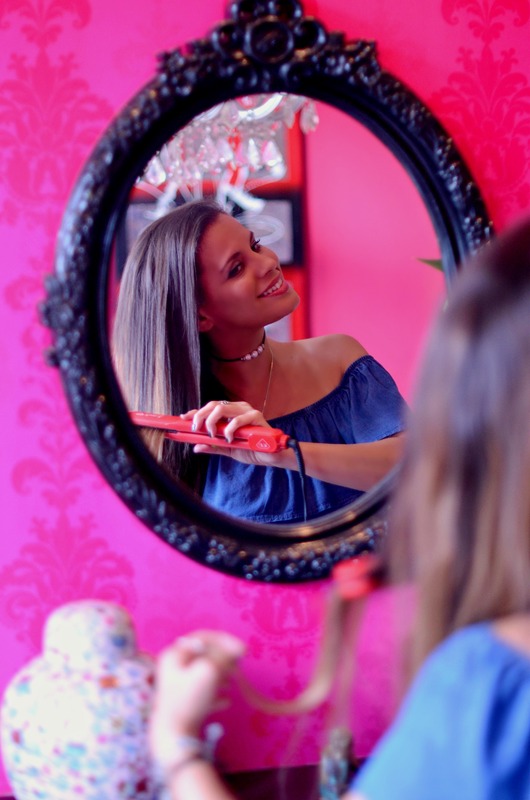 Professional hair stylists were raving about how this flat iron is the best straightening hairtool they have ever used and you know what? They were so right! To be honest with you guys I never expected this flat iron to be as good as it really is. I even waited a little while before trying the product, but I was happy I did because I was blown away by the results the first time I used it. 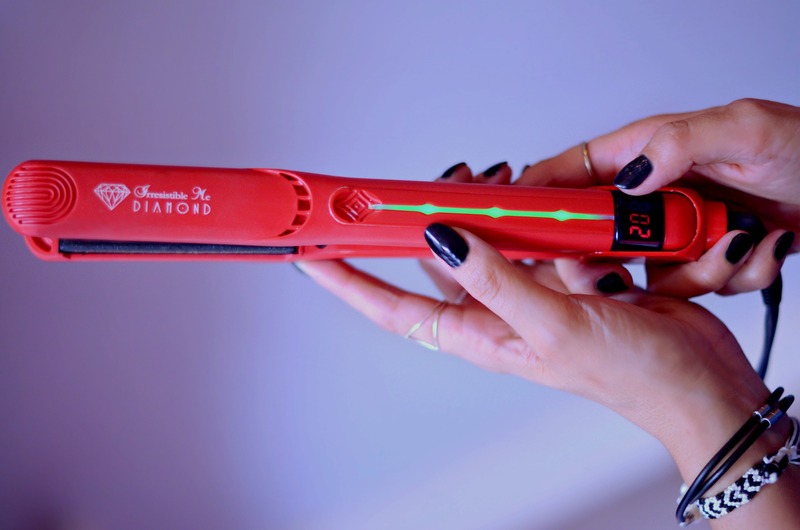 The Diamond Profesional Flat Iron is a killer and I mean that in a good way. It’s very light weight, heats up fully up to 450 degrees in fifteen seconds and glides through your hair effortlessly, creating a sleek effect in half the time than I am used to. I am done with my hair in 10 minutes as supposed to my usual 20 minutes. Using other flat irons, I had to pull it and they sometimes got stuck halfway my hair, but this baby goes through the hair incredibly smoothly. 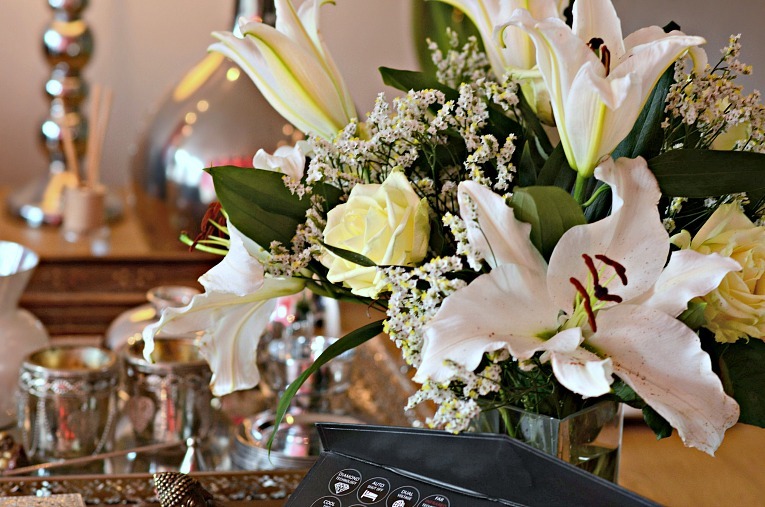 Irresistible Me quotes: “This super smart iron featuring unique DIAMOND Hi-Tech, coats the floating ceramic plates with crushed diamond particles mixed with tourmaline”. This means that it will actually lock in moisture and your natural hair oils. leaving you with incredibly healthy, shiny and frizz free hair. Bali has super humid weather, but I noticed that my hair stayed frizz free a lot longer using this flat iron in combination with the right products. When I get out the shower, I apply a few drops of Frizz Ease serum by John Frieda on my towel dry hair to eliminate flyaways and frizz. 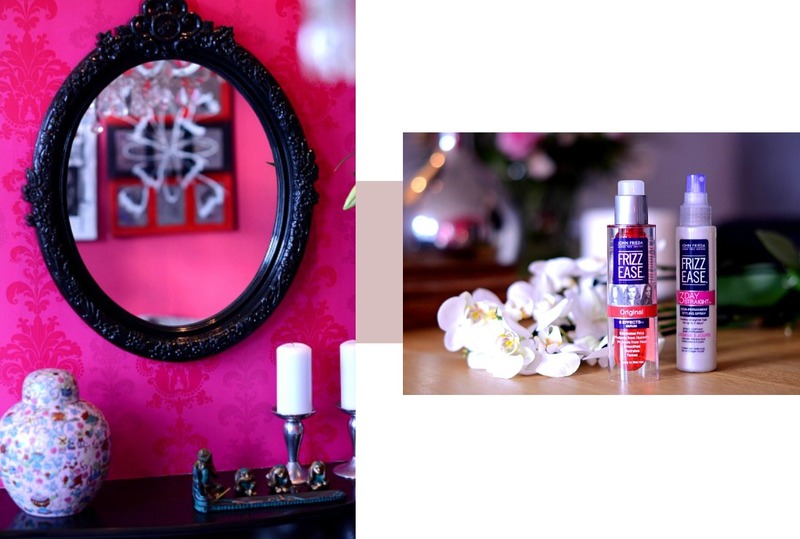 I finish by spraying 3 Day Straight also by John Frieda into my hair. This stuff is perfect for humid conditions and keeps my hair straight without poofing or frizzing all day. I usually let my hair airdry, or when I am in a rush I blow-dry it. Once dry I use the flat iron to straighten it streak by the streak. 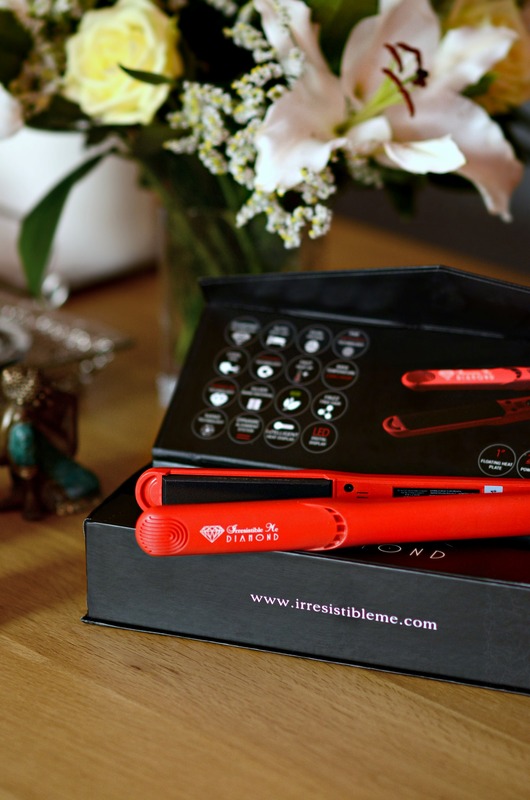 With the Diamond profesional Flat Iron my hair is straightened, shiny and sleek in ten minutes. Ta da, that’s it! I am ready to go. I’m a huge fan of this product and will keep on using it for years to come. That’s how much I love it. This post was brought to you in collaboration with www.Irresistible Me.com, how ever all opinions are fully my own.